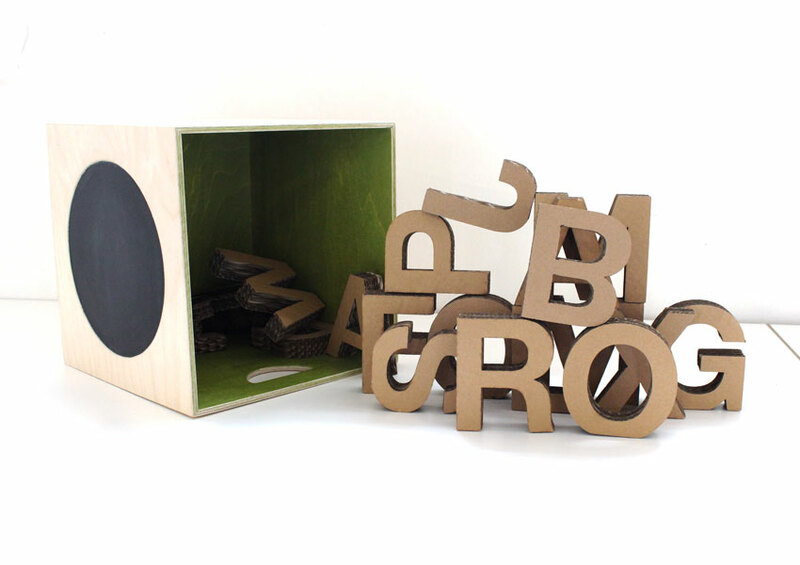 With this "BEWIBOX letter box" preschool children between four and six years playfully explore the alphabet. 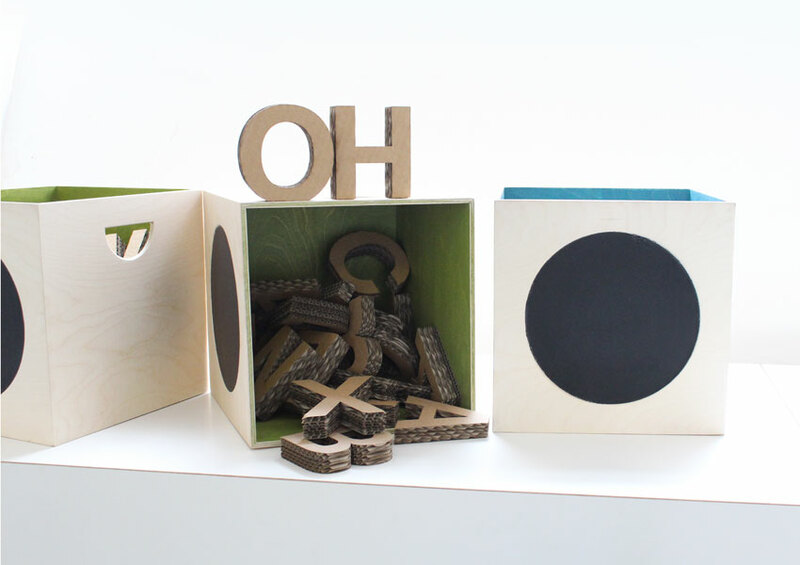 BEWIBOX invites kids to play freely: The stable cardboard letters can be stacked, used as building material or kids can write their own name or long fantasy words. They can chat about the letters they already know or explain them to younger kids. 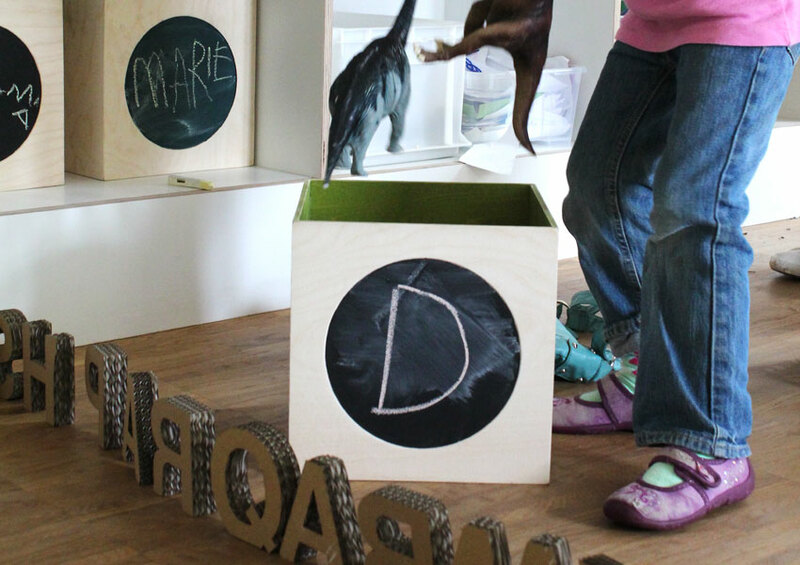 The box comes with some play ideas: the little blackboard e.g. can be used to write a special letter on it. 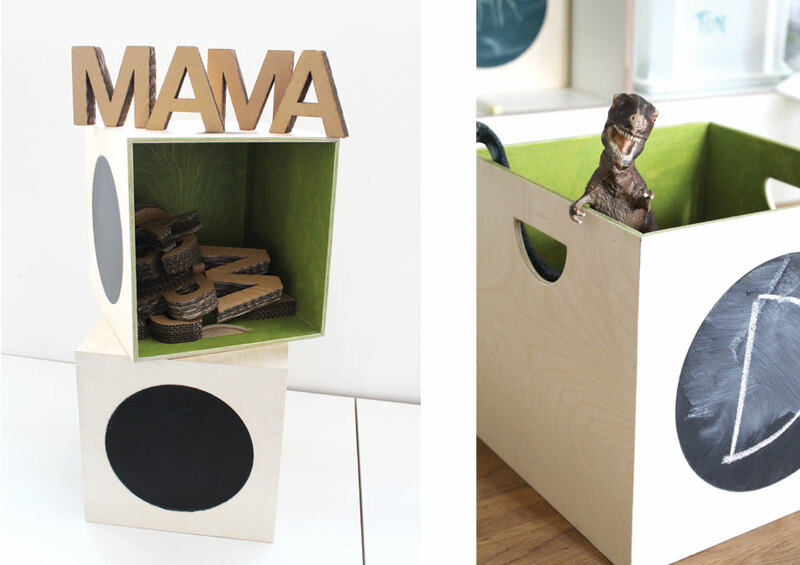 If they choose the letter B, kids are invited to put bears, bricks and blossoms inside. To differentiate the kids' cognitive levels, you can also put a colour on the blackboard – so e.g. all yellow coloured items can be collected in the box. 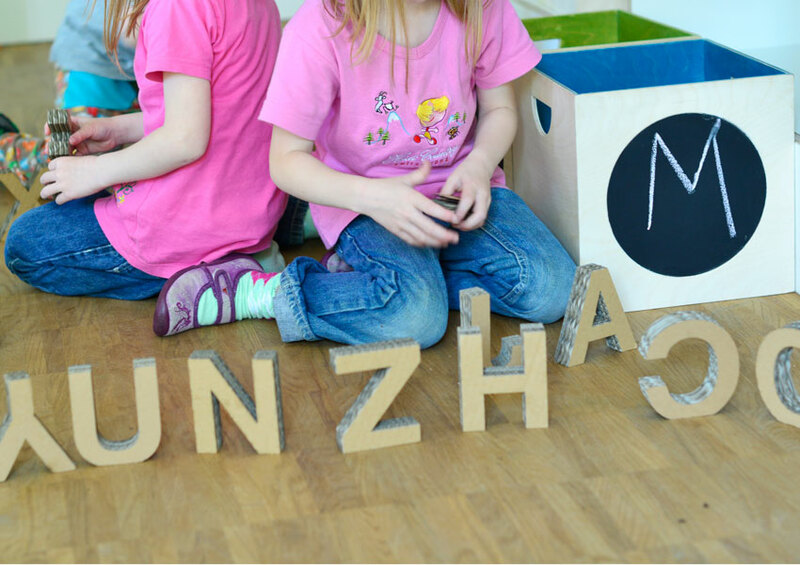 In this game it is not most important to learn reading and writing does not stand in the first place – it is more connecting to each other and communication between kids through their play.